Art classes help release the raw talent that often exists just underneath the surface. Whether serving to refine the skills of a budding artist or show a beginner that he or she does have skills, these classes serve to educate and inspire. The following are the best art classes in Massachusetts. Why not take a class and learn something new and exciting—maybe even about yourself? 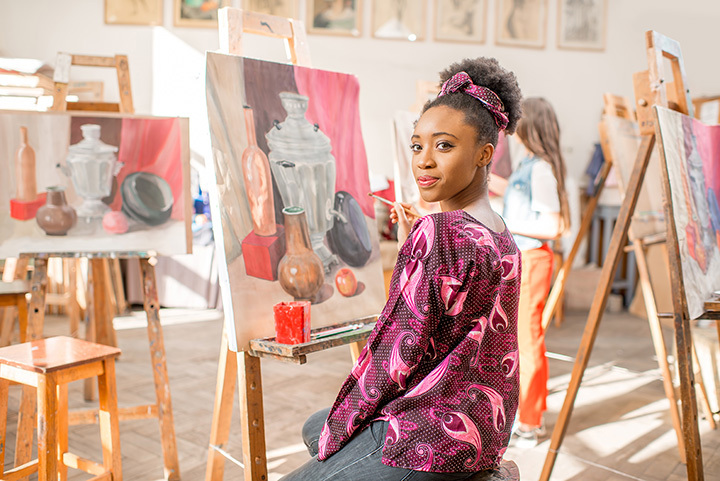 The Museum of Fine Arts in Boston offers studio art classes all year long. Adult classes include drawing, figure drawing, acrylic painting, oil painting, watercolor, printmaking, stone carving, and more. There are classes available for teens and children, too. The Essex Art Center offers a whole roster of art classes, broken into spring and fall sessions. Classes are available for all ages and are taught by quality professionals. The costs are affordable with the intention of providing art education to all. Art classes for both adults and children are available at Fruitlands Museum. Professional artists teach all classes including fine arts, crafts and traditional art. Choose from classes in oils, watercolors, basket weaving, ceramics, pastels, Shaker weaving, and more. Adult art classes are available at Worcester Art Museum. There are classes for novice artists, beginners, intermediate, advanced and all levels. The high quality instruction takes place in a classroom setting. Scholarships are available. Art classes for adults, teens, and children are available at Hunakai Studio of Fine Arts. Choose from colored pencil, oils, mixed media, sculpting and more. The instructors insist that creating art must be fun and enjoyable. Each class focuses on basic skills before launching into artwork. Enjoy classes in jewelry making, bronze casting, stone carving, and more at Stonybrook Fine Arts. There’s even an art class for making your own wedding ring. Classes are available for adults and teens, and they fill up fast. Check out their workshops, too. Sign up for art classes at the Attleboro Art Museum. Scheduled throughout the year, they are available for all ages and include a variety of mediums. Choose from painting, carving, mixed media, drawing, watercolor, clay and more. Art classes at the Creative Arts Center include oil painting, acrylics, watercolors, abstract painting, pottery, jewelry making and more. Workshops are available for adults only. There are art classes for children, too. Take part in an art class, workshop or retreat at Northeast Art Workshops. Whether you consider yourself an artist or simply enjoy art as a hobby, there’s a class or workshop for you. Choose from mediums including acrylic, oil, encaustic, watercolor or mixed media. All artist levels are welcome. These classes and workshops are for adults only. At the Liz Boston Art Studio, adults, teens and children may enroll in art classes including acrylic painting, oil painting and drawing. Classes are ongoing, so feel free to begin at any time. All levels are welcome.